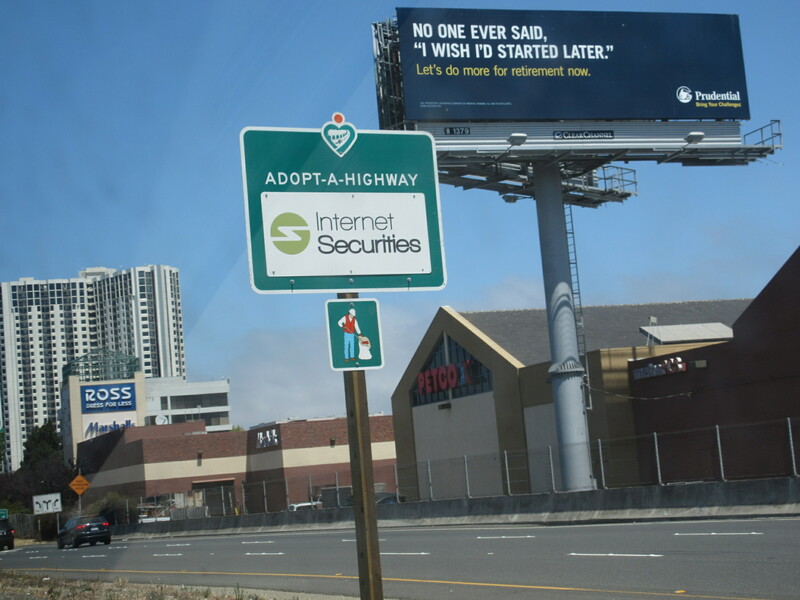 During April 2016, Internet Securities® was awarded a sponsorship by Caltrans Adopt-A-Highway program to remove litter along the Eastbound portion of Interstate Highway 80 between University Avenue in Berkeley and the Contra Costa county line near Central Avenue in Richmond. A small team including senior executives at Internet Securities and other friends concerned about the environment, remove litter along this stretch of Interstate Highway 80 on a monthly basis. The Caltrans Adopt-A-Highway Program provides an avenue for individuals, organizations, or businesses to help maintain sections of roadside within California’s State Highway System. Caltrans Adopt-A-Highway is a member of Internet Securities’ Share Network.